The football fraternity in Uganda was hit with sad news on Tuesday as the Wakiso Giants team Doctor Jack Walugembe passed on. 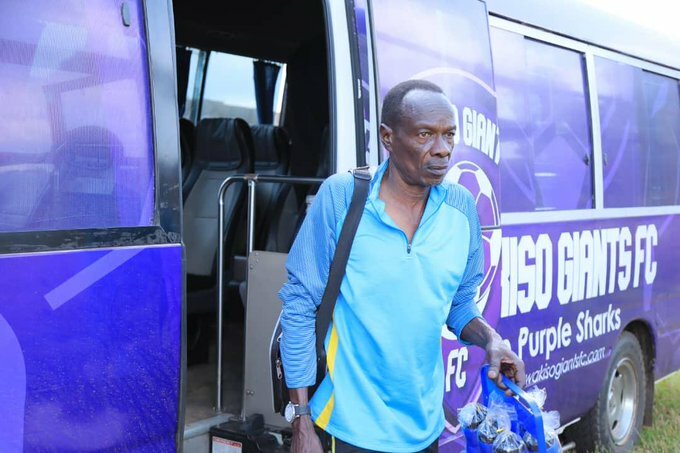 Walugembe who joined the Big League-Elgon Group leaders at the start of the 2018/19 season had been in hospital since Thursday when he suffered a stroke as his team prepared to take on Kyetume at Bugembe. The Doctor was immediately rushed to Jinja Hospital where his condition never improved. In the late afternoon, he was transferred to Nsambya hospital where he has been fighting for his life on ‘life support machines’. After four days, he breathed his last and was pronounced dead on Tuesday morning. A very sad morning at our club. Our Doctor Jack Walugembe passes on after failure to recover from a stroke suffered last Thursday. Burial arrangements will be communicated! Walugembe has worked with several clubs in Uganda including KCCA FC, Onduparaka FC, URA FC and Proline FC. He joined Wakiso from Onduparaka last year. Several top tier clubs have expressed their condolences towards Walugembe’s family and Wakiso Giants. We are saddened to wake up to the news of the passing on of our former team doctor Mr. Jack Ndawula Walugembe.